~Are you a patient, student, or friend, of Cannabis? ~What is Cannabis bringing to your attention? ~Do you need assistance in deciphering her messages? Cannabis has been Quynn’s most gentle and meaningful Spiritual Guide. Even in the darkest days of prohibition, when it crossed her path, Quynn gratefully received teachings, names and inspiration from the Spirit of Cannabis. In 2014 Quynn dealt with cancer, and again Cannabis came to help. By enrolling in the Arizona Medical Marijuana Program she began communing with Cannabis for cancer support. Once in the state program, and as more states legalize for medical and recreational purposes, Quynn began to see the need for Cannabis Spiritual Support guidance for many “patients” of this helpful plant. While Quynn cannot recommend Cannabis to people, she can, and does, help people expand the benefits of Cannabis for those who already legally use it in their healing. 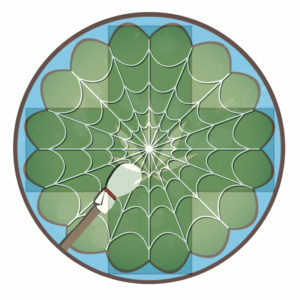 The Spirit of Cannabis has asked Quynn to make herself available for those who commune with this plant, and are ready for some spiritual support and interpretation of what is being presented to them by this plant’s teachings. 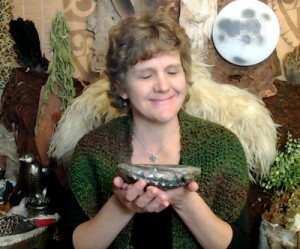 Ask questions, share your visions and visitations, experience a guided shamanic journey to help you come to terms with who/what is coming to you. See session options HERE and you can schedule your session below- When you purchase a session, please indicate “cannabis friendly”. 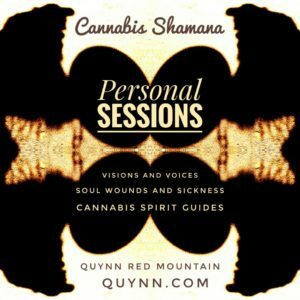 ~Invite Quynn to host a private Cannabis Journeys Shamanic Circle for your friends/organization who are Medical Marijuana patients. Contact her here.